Knowledge is a critical part of the service we offer our clients; our knowledge comes from experience and research. Our research team works in partnership with our advisory professionals to provide clients with timely, accurate and relevant market intelligence to support their business decisions. We provide multi-level support across all real estate sectors ranging from data collection to comprehensive market analysis. Our extensive in-house database provides detailed information on a range of real estate assets including supply, demand, absorption rates and transactions. Using this data, we produce insight into market performances, underlying conditions and directional trends across the MENA region. Our research team publishes forward-looking thought leadership on major industry directions. Based on proprietary data we collect from our regional offices, we combine this with insights from our market professionals and our global research teams. Beyond our industry reports, we also provide tailored research analysis for our clients. From highest and best use studies, market research to feasibility studies, our research provides you with the insight you need to make informed decisions for your business. Numbers provide vital information, but data can be misleading without sufficient context with which to interpret it. We help our clients understand trends to take advantage of the evolving nature of real estate. Here are answers to the top questions you might have about our research Services. 1. What do Colliers’ Research services include? Our research team publishes forward-looking thought leadership on major industry directions. Beyond our industry reports, we also provide tailored research analysis for our clients. From highest and best use studies, market research to feasibility studies, our research provides you with the insight you need to make informed decisions for your business. Ian has worked extensively throughout the United Kingdom and the Middle East, North and Southern Africa having been involved in projects in all of the Arabian Gulf Countries, the Levant, North and South Africa, GCC countries, plus Republic of Mozambique, Republic of Namibia, Kingdom of Swaziland, Lesotho, Sudan, Egypt, Lebanon, Syria and Jordan. 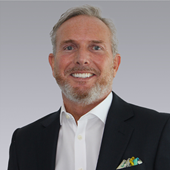 ​For the last 20 years Ian has been based in the GCC, initially as an Associate Partner with a consultancy firm and later as the General Manager of a UAE focused Real Estate Investment Company. For the last 12 years he has lead the Valuation and Advisory teams of Colliers International MENA offices with P&L responsibility for the following teams in the Middle East and North Africa region; Valuations (residential and commercial teams), Development Solutions, Healthcare, Education, Plant and Machinery Valuations and Hospitality.